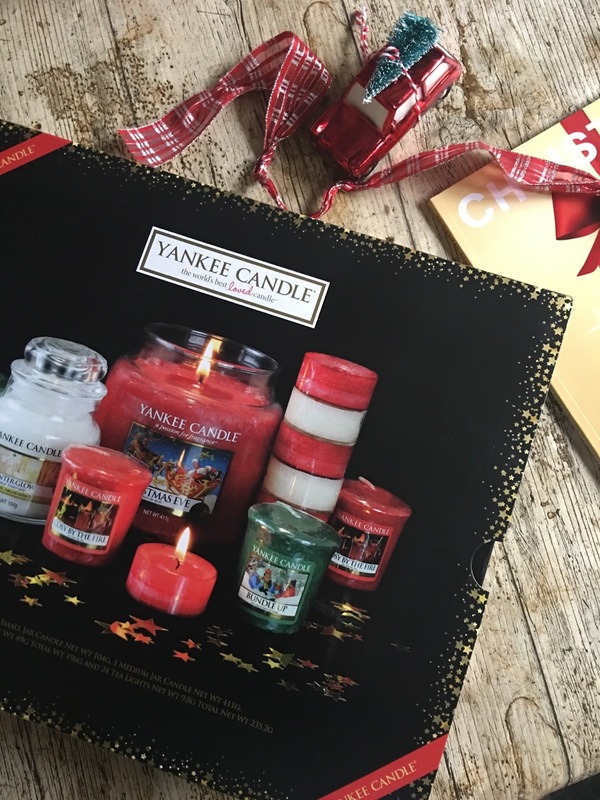 If you are a regular in these parts you will no I am obsessed with candles especially Yankee candles, so this Yankee candle gift set Christmas edition is right up my street. Every year we all know Boots with have some incredible gifts on there famous 3 for 2 but also they do a weekly star buy slashing the price of often one of the more expensive gifts, and that's exactly what happened a couple of weeks ago with this Yankee candle gift set it went from £45 to £23 and I talked the Mr into buying it for me, cause it was just to good a deal to miss. The gift set comes in a sturdy black cardboard gift box and the candles are well packaged inside, upon opening the lid the smell is incredible the Xmas scents are my favourite. The candles inside are, 1 medium jar of Christmas Eve. a scent I buy every year and to me is Christmas in a jar, traditional festive scent of candied fruits and sugared plums. 1 small jar of winters glow , a crisp frosty scent, 4 votives 2 of cosy by the fire and 2 bundle up, I love votives they are a great way of trying a scent out and also look cute burning on your dining table in Christmassy votive holders. Plus 2 boxes of 12 tea lights, 1 box Christmas eve and 1 box Christmas cookie, which happens to be one of my all time favourite's I love the sweet foodie scents. This set is great for creating different moods in your home depending what scent you burn, or you could layer up the scents burning more then one at a time. This gift set makes a cool gift for a special candle lover, or you could be economical and split the set and give individual candles as presents the choice is yours, even when the set is full price at £45 is still great value as there are around £50 of candles inside, and of course its on 3 for 2, which is also a bonus. What a gorgeous gift set! 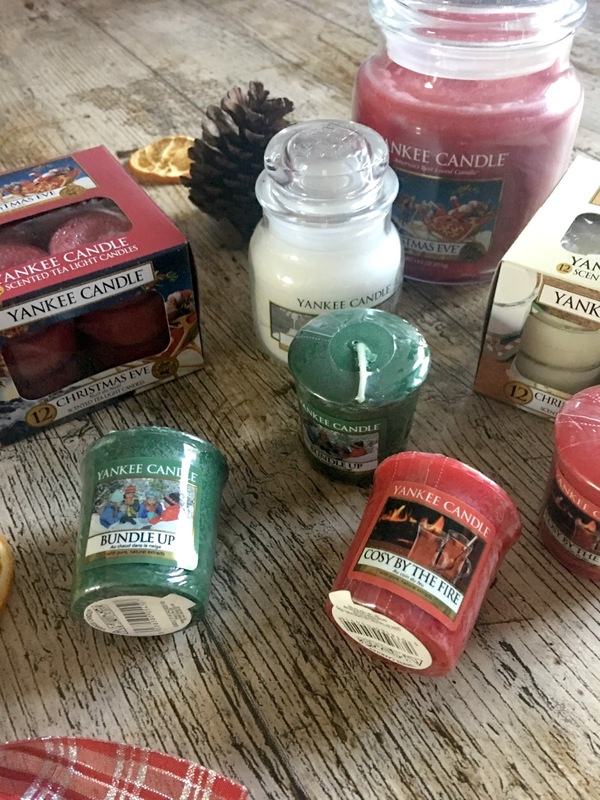 I love Yankee Candles, I'm definitely going to check this out!